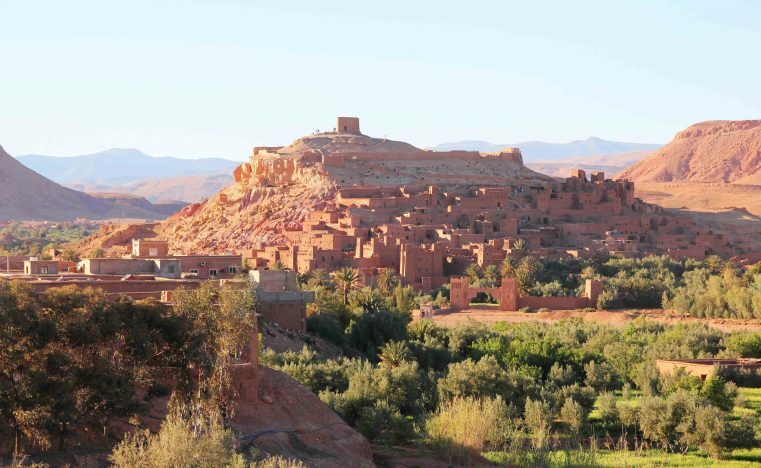 Ait-Ben-Haddou is an ancient mud brick city which is an UNESCO World Heritage site. 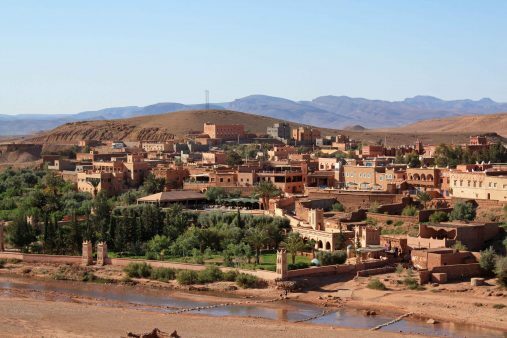 Because of its unique architecture this village has been a setting for many popular films such as Game of Thrones, Gladiator and Lawrence of Arabia. 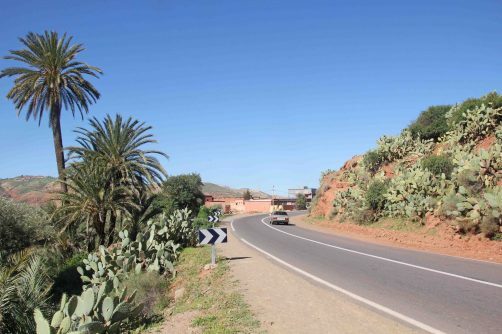 The village was build 1000 years ago and before, it used to be an important point along the caravan route. Now it’s one of the most attractive points along the tourist route. 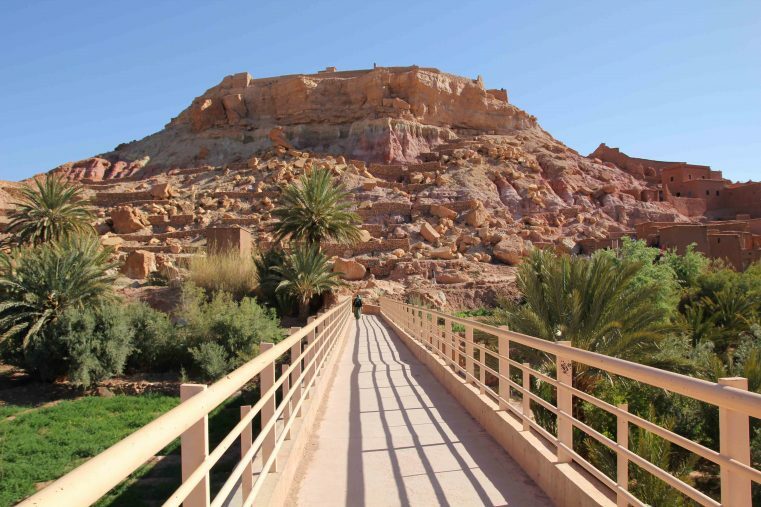 How to get to Ait-Ben-Haddou? 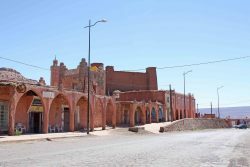 The best way to get to there is renting a car with navigations system from Marrakech. 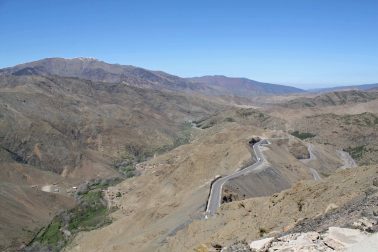 Actually the High Atlas mountain road is an adventure for itself. If you love taking pics make sure you are planning enough time driving this panoramic mountain street. 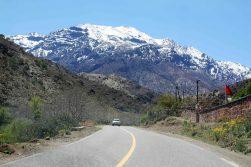 Take the Tizi n Tichka pass road located in the High Atlas Mountain to Ouarzazate. 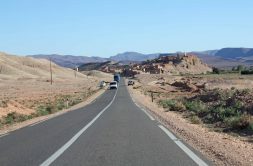 Around 20 km before Ouarzazate you have to take the road towards Ait-Ben-Haddou. 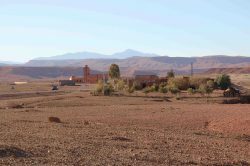 After picking up our rental car around 10 am in the morning we left Marrakech towards Ouarzazate. 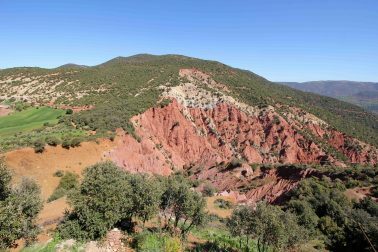 The landscapes began to change quite soon and we had been surprised by all the green! Slowly the road began to rise and we passed the first mountain villages. Take a stop at the cafe at Tiz Imguer! From there you will have a grandiose view of the red rocks and the valley. If you are lucky you will see lots of squirrels running around. The road is winding up the mountain and there are plenty amazing photo motives and viewpoints just next to the road. 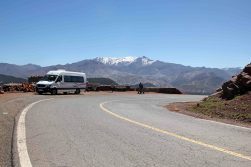 On top you will see the High Atlas Mountains with its stunning white summits. 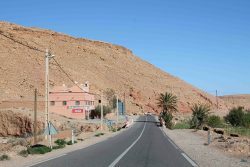 If you are up to buy some minerals, you are definitely on the right place – the atlas road is popular for its stone sellers. Going higher the mountain the landscape was changing dramatically and the road zigzags its way up to 2260 meter. 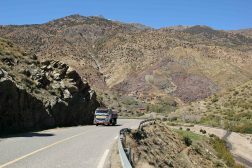 After the Tizi n Tichka Pass, Driving down the mountain, the landscape then changes again. 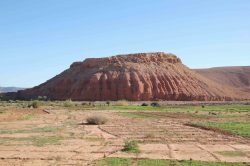 With arid peaks, rocky stone formations and some old stony villages you know you are coming in pre-Sahara direction. 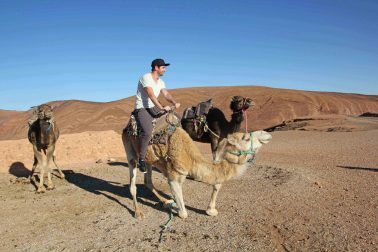 The scenery is becoming much dryer and suddenly we spotted the first camels just next to the street. The panorama of this village is just amazing and the colors are changing dramatically when the evening comes. 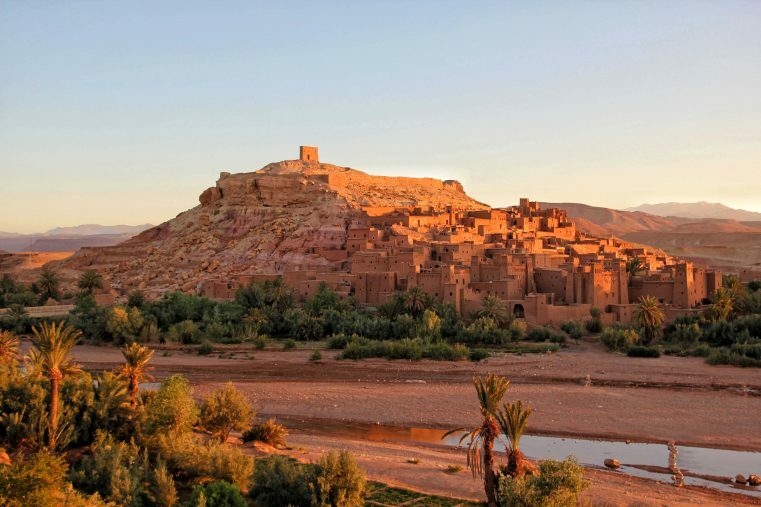 Also with the morning light, Ait-Ben-Haddou is a wonderful photo motive. It felt like being in a completely different world watching this spectacle. The best view you will have from one of the few rooftop terraces of the nearby hotels. We recommend at least an overnight stay! 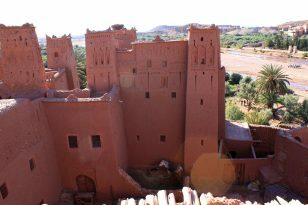 It’s so beautiful to see the Ksar in different lightening and when the day guests are leaving you will have this area for yourself. 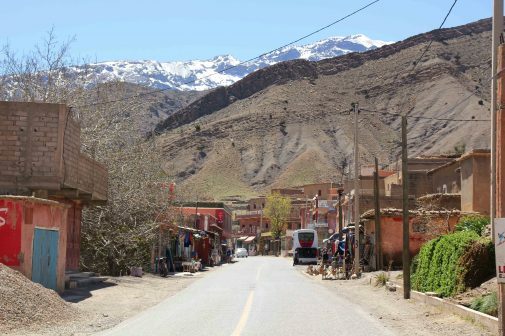 There are plenty of amazing Kasbahs to stay – although it must be cool sleeping inside the village the view of the village is even more amazing. Having breakfast with a morning scenery like that is unbeatable. 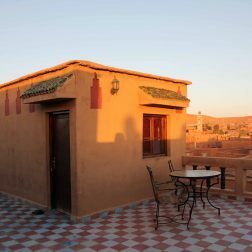 We stayed a night at Chez Brahim and we loved drinking mint tea and enjoying the unbeatable views. 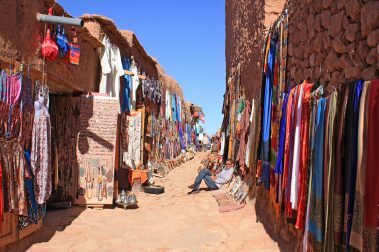 What to do in Ait-Ben-Haddou? It’s amazing starting the day very early in the morning, taking a nice hot cup of mint tea and enjoying the incredible sunrise. Take a walk along the river and enjoy the nature. After start to explore the village from inside – there are a few houses which are open for visits too! 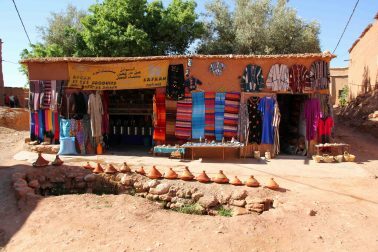 You will also find some souvenir shops and cute cafes on the way to the top of this village. 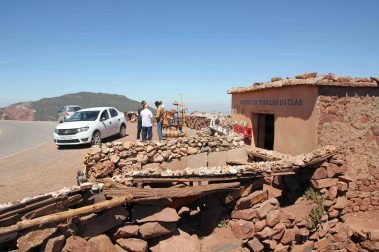 Once you reach the top, you will be rewarded with incredible views of the region which is in fact the best part of the tour. 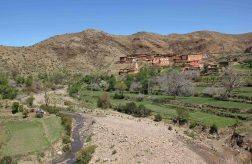 You will see the whole valley along the village, the village view, the rocky desert. 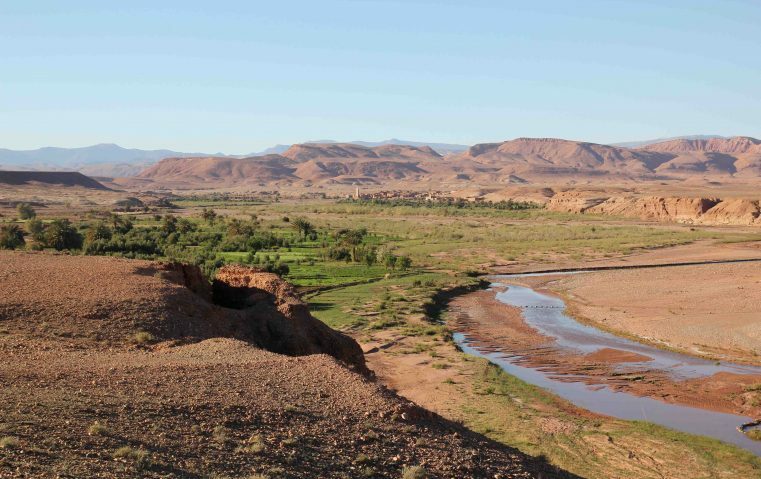 I just can imagine how would have been a Berber life 1000 years ago. 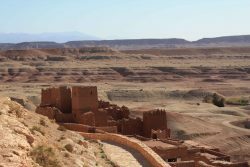 Driving to Ait-Ben-Haddou: Make sure you have a navigation system & a route map in your car – it’s absolutely necessary for driving around in Morocco. Don`t be afraid of driving by yourself – there are lots of gas stations and you will always find friendly people helping you. Incredible pictures! It’s no wonder so many movies have filmed there, it looks amazing. This sounds like an amazing roadtrip! I can definitely see why they would use this beautiful little town for a filming location! Wow this place looks like something out of an Aladdin story book! 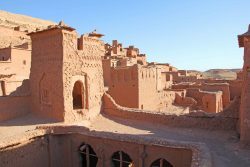 I love reading about new places and I have never heard of Ait-Ben-Haddou before! So many great photo opportunity’s! I love travelling to places where there is a complete culture shock this must have been an amazing experience. 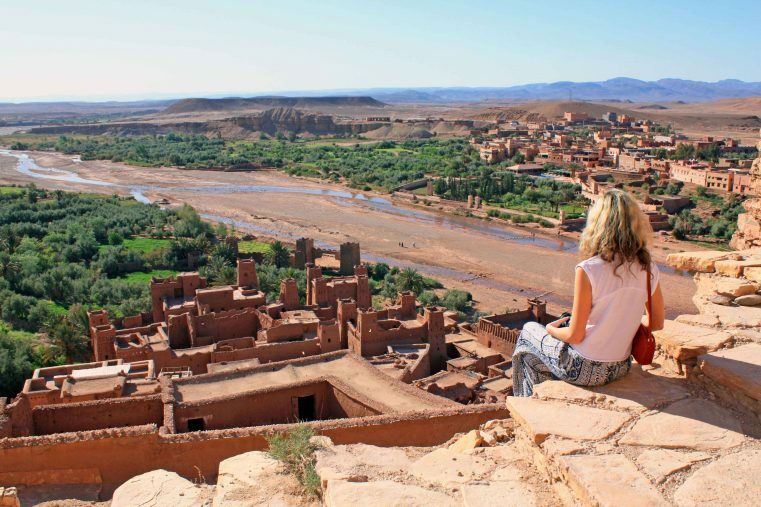 Thanks for sharing I have made notes… planning to visit Morocco one day. There’s something about mud in architecture that makes places look so warm and welcoming. All of the different uses of natural materials in building construct places that are so at one with the natural landscape. I love what you say about staying to enjoy the ambiance when the crowds have gone home, and the special pleasures of experiencing nightfall and sunrise to see the changing moods of the place. I can see why so many famous movies were set here, the location is absolutely surreal and stunning. And I love that this movie set carries such rich history behind it. The drive alone would be worth it, the landscape is so diverse and not at all what I would have expected. I would have to spend the night for sure, just to stop and capture it as often as I could and truly soak it in. This is an incredibly beautiful area that I would love to visit for myself! 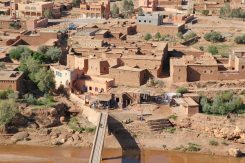 I’ve never seen a mud brick city before. 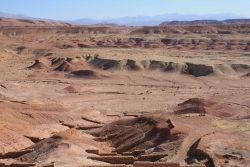 Ait-Ben-Haddou is so unique, and stunning. I can see why it’s a frequent filming location. 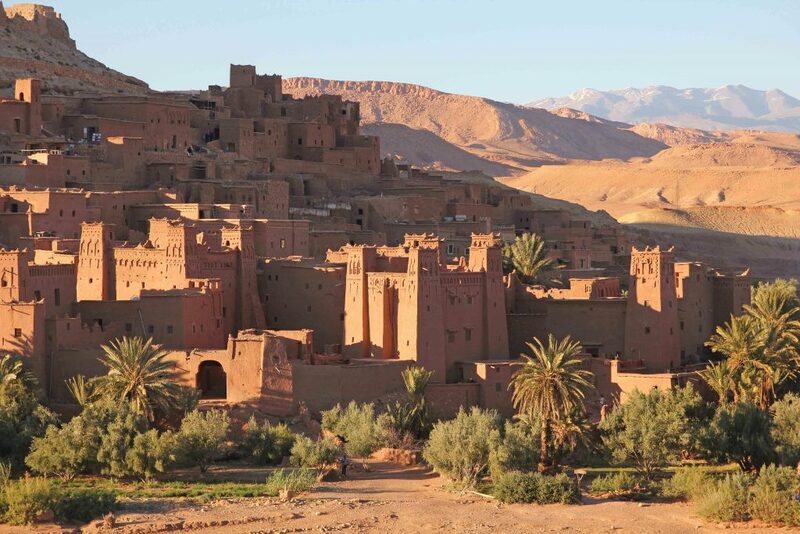 Had never ever heard of Ait-Ben-Haddou and I am planning a trip to Marrakech!! WOW! This looks absolutely gorgeous with its rustic architecture! 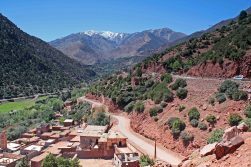 The views from the high atlas mountains are super scenic especially the rocky stone formation! 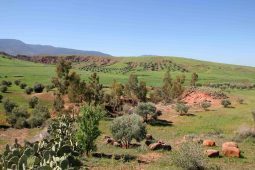 Lovely panoramas and landscapes! No wonder movies were shot here. Amazing place and very iconic – not surprising that it’s been used in so many films. 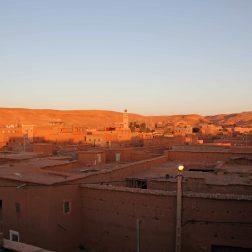 It’s top of my Morocco bucket list for sure – I went to Morocco about 15 years ago and didn’t make it to Ait Ben Haddou. Gorgeous photos! 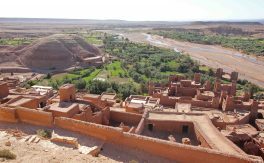 I had never heard of Ait-Ben-Haddou before. Great photos from here! I can see why it has been used in many movies. Wow, these are stunning photos! I had always seen this town on National Geographic magazines and media but never knew what it was called. 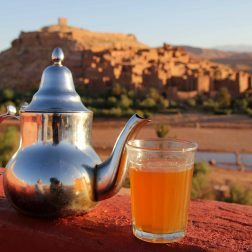 I might go to Morocco in May so I’ll be sure to add this to the list! How are the drivers there? Wow ..This looks like magical place .never heard of Ait-Ben-Haddou. Thanks for your recommendation in driving too. 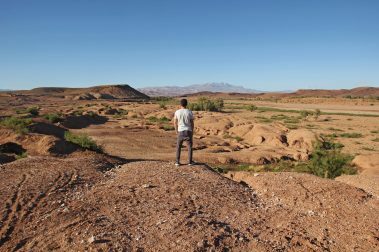 Never thought it ould be easy in Morocco.